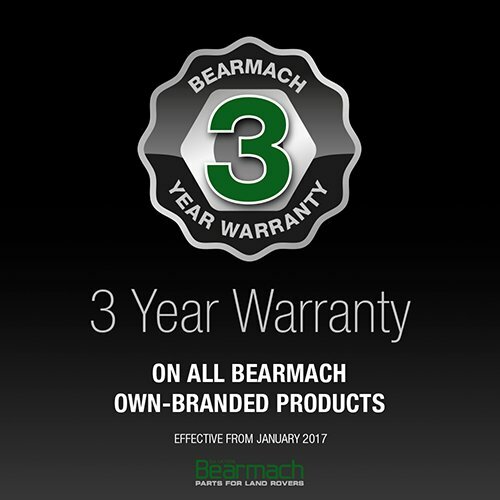 We are so confident in the quality of our Bearmach own-branded range of products that we are now offering an extended 3-year warranty on them. For your peace of mind, Bearmach products go through rigorous testing to ensure they meet our strict quality standards. This extended guarantee is a major step forward in the aftermarket supply of parts for Land Rovers, and from 3rd January 2017 will cover all items within Bearmach’s own-branded aftermarket range. If any part is found to be defective following an inspection by our quality team in the first 12 months after purchase, due to faulty materials or workmanship, then we will repair or replace the unit free of charge or issue a full refund. In the second and third year of warranty – a free of charge replacement will be issued. We look forward to working with you in 2017. If you have any inquiries regarding our new 3 Year Warranty, please do not hesitate to get in touch with your Account Manager.